Many options are available, and they are tailored to your specific requirements. If you need a replacement tooth while the implants are healing, temporary removable teeth or a temporary bridge can be made. 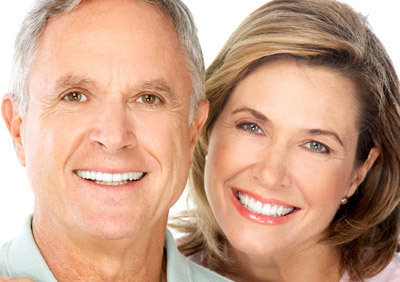 If all of your teeth are missing, your general dentist can usually modify your present complete denture or make you a new temporary denture. During your healing (the period of osteointegration) we will communicate closely with your general dentist, who will performing the restorative process on your implant. We will furnish all the necessary information your dentist will need to prepare the abutment and crown for your implant. In general, once your implants are placed, you can expect your tooth replacement treatment to be completed anywhere from 4 to 6 months. It is is difficult to give you a specific timeframe for completion of your treatment until after the implants are ready for restoration. Before treatment begins, every effort will be made to give you an accurate estimate of all the expenses involved in placing the implants. In many cases, there is an initial charge for the diagnostic work-up, including study models, x-rays, and the fabrication of a surgical template to ensure the best possible result. In addition you will be charged for the abutment or support post(s), plus the crown, dentures, or anything else that will be placed over the implants, including temporary restorations. Periodic maintenance such as hygiene visits, tissue conditioners, denture relines and other repairs will also incur additional charges.